Hello from Saskatchewan. My name is Chad, tradional hot rodder who has been doing this my whole life. I grew up going to rod runs all over Canada & the US in my dad's 32 sedan, my best childhood memories are the travels & camping at rod runs. I now have a 32 of my own, a pickup I have toured all over in for the past 10 years. 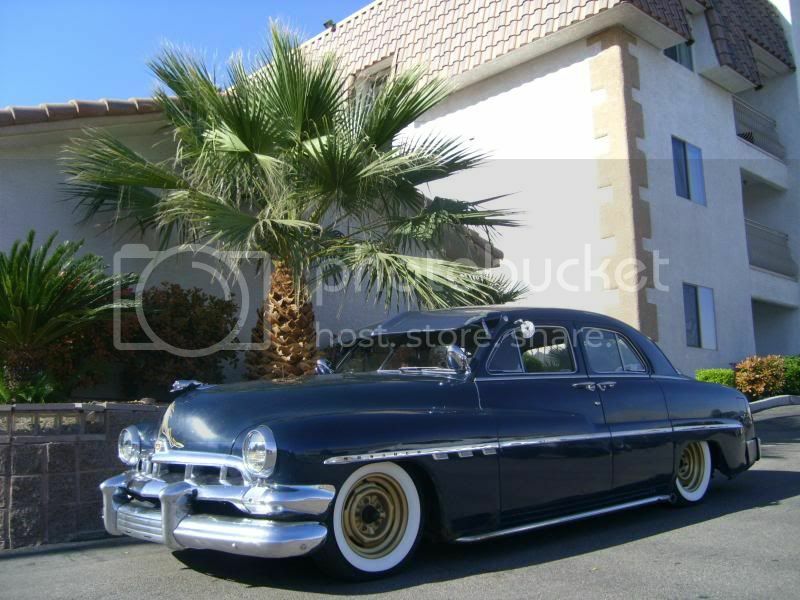 I also have a 51 Monarch, another car I always vowed I would own & enjoy cruising to events all over in it too. While searching for events to take in I came across your poster from your last years event & thought it sounded exactly like my kind of event. 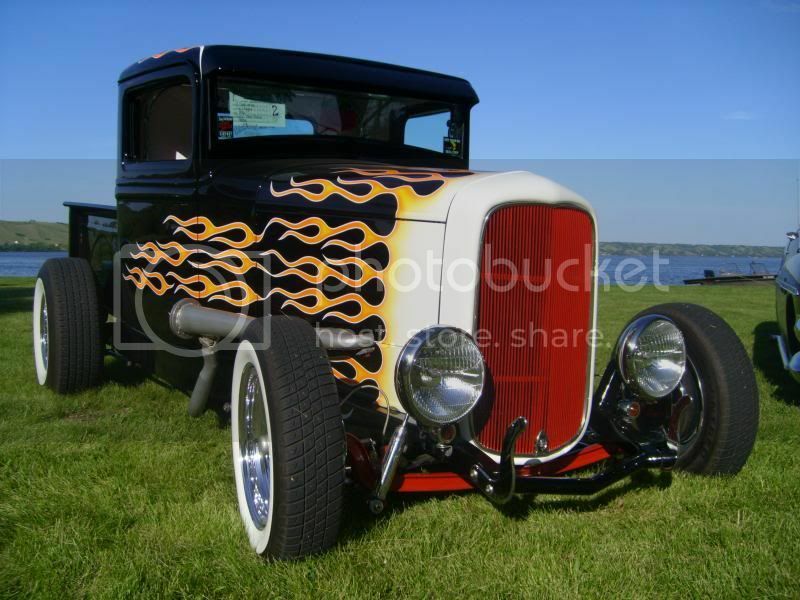 We host a rod run up here where we have the entire campground, strictly people at the run only, this summer will be our 8th annual & it just keeps getting better every year. If you could supply me some more info on your run that would be great, as I am booking holidays for work & think I would love to take this run in. Here are a few pics of my 32 & 51, I also have a 26 T roadster I am building, but it is several years away from seeing the road. Here is my 32 at our rod run last summer. And here is a pic of my Monarch taken in Vegas last summer at Viva Las Vegas - driven all the way trouble free. from one chad to another. those look pretty good. you are really"way up nord dere"
Hey Chad..........I know you and your dad. Saw your dad last year at the Bismarck North Dakota run. I saw your pickup at the Minot run many years ago. I think the Suedes run would be a run you would like. More like minded people. We are currently working on our poster and will have info out shortly. So please check back and welcome to our site. Thanks, I'm going to assume that this event will be the same weekend as last year putting it on July 23 & 24. Yes, that is the weekend. Mr. Welta! Your '32 still looks great! Nobody's cranked off the electric window crank in your pickup have they? Are you going to be making it to Devil's Run this year? I talked to you in 2004 or 2005 I think right after you were in the "under 30 and in overdrive" section of Street Rodder. Hopefully we'll see ya a couple times this summer! Hey folks. Just checking in to see if your event is a go, as I have been searching for a poster but can't seem to find one. Thanks. Welcome Chad, yep its a go. If you're on Facebook we have a page for the run there and we'll get a page on this forum for it asap, like hopefully today... Super vehicles btw, can't wait to see them in person. Thanks guys. I am on FB, what do I search for it under? I searched and couldn't find it, but maybe my phone isn't displaying all. See you at Bonneville for speed week?? ?